The Societies Act is new legislation that will come into effect on November 28, 2016. It governs how societies (not-for-profit corporations) are created and run in B.C. Read about the new Act’s impact on pre-existing societies. We’ll keep you updated via our related Common Question and will post here about upcoming training opportunities for you — subscribe to our blog on the left column if you haven’t already! This advocacy program assists unrepresented people in Family or Supreme Court in Greater Victoria and provides family law information to low-income people, on: separation and divorce, child and spousal support guidelines, family property and debt. 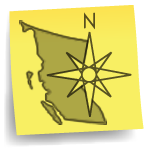 Get help with BC Supreme Court, BC Court of Appeal, BC Human Rights Tribunal court forms. These clinics are run by volunteer paralegals with the supervision of duty counsel (a lawyer). The clinic can help with: Supreme Court of BC civil court pleadings, civil court forms relating to employment, foreclosures and residential tenancy matters, Supreme Court of BC family court forms, Court of Appeal family law pleadings and organizing appeal books, and BC Human Rights Tribunal forms. This publication is for people who have been appointed as executor in a will. It covers the steps involved in British Columbia in dealing with an estate after a person dies, including the procedure to probate the will. Updated to reflect the Wills, Estates & Succession Act, which became law in 2014. You may be more familiar with the term “restraining orders”. In BC, the proper term is “protection orders”, which can be either peace bonds or family law protection orders under the Family Law Act. Read more about what a protection order is, when you should get one, how it will protect you, and who you can speak with to get more information about how to apply for one. The purpose of the Native Courtworker program is to help aboriginal people involved in the criminal justice system obtain fair, just, equitable and culturally sensitive treatment. The program can provide the aboriginal accused with appropriate referral to legal, social, education, employment, medical and other resources, liaise between the accused and criminal justice personnel, and much more. The HelpMap service listing has been updated with new location and contact information and is managed directly by NCCABC. If your job ends or terminates – whether you quit or you are fired or laid off – you want to be aware of your rights under the law. This script describes your rights under the Employment Standards Act, which sets out some minimum protections for workers in BC. Human Rights Clinic: exploring settlement, and representation before the BC Human Rights Tribunal. Mental Health Law program: legal advice and representation to people who have been involuntarily detained under the Mental Health Act or require representation at a Mental Health Review Board hearing. Worker’s Rights – appeals or reviews of SST decision about EI benefits, reconsideration or court review of lost WCAT appeal decision, reconsideration or court review of lost EST appeal decision. Human Rights – information about filing a federal human rights complaint with the Canadian Human Rights Tribunal or the Canadian Transportation Agency, court review of decision from the BC Human Rights Tribunal, Canadian Human Rights Tribunal, or the Canadian Transportation Agency. Income Security – court review of lost Employment and Assistance Appeal Tribunal decision, appeal or reviews of SST decision about government pension benefits (CPP, CPP disability, OAS). Housing Security – court review of lost RTB hearing, advice on Order of Possession, advice on co-op evictions, tenant or low-income homeowners facing foreclosure. Mental Health – court review of a Mental Health Review Panel decision under MHA, court review of decision from the Review Board under the Criminal Code, or challenge of certificate of incapability making the PGT statutory property guardian. Contact CLAS at 604.685.3425 or 1.888.685.6222 more more info. Have your papers ready. Note that CLAS services are for low-income clients; they will refer you to other services if they cannot represent you. You may have noticed that some of the links to websites hosted by the BC Government may be broken as they restructure. We are working on fixing that and will keep you updated.